Emerson, a global technology company, recently hosted a technology conference and exhibition designed to help customers achieve Top Quartile performance in the areas of safety, reliability, production and energy management. The event showcased strategies towards implementing digital transformation by harnessing the capabilities of the Industrial Internet of Things (IIoT), and provided a unique platform to network, identify, design, and plan the adoption of these technological advancements. All these innovations are designed to help address key challenges around company operations, ultimately driving towards efficiencies and growth in corporate performance metrics such as Operational profitability and return of investment around Capital Projects. Mike Train, president of Emerson Electric, officially inaugurated the Technology Conference & Exhibition which opened with a session on Emerson’s commitment to Saudi Arabia’s strategic transformational program the Vision 2030. Mike Train and other executives shared insights on how Emerson is transforming to align to the Kingdoms strategic objectives, by supporting key goals around improving private sector investment in kingdom, supporting human capital goals through knowledge transfer and education, and fostering innovation and technology development by working with academia and industry stakeholders to develop and commercialize new technology. This was further followed by keynotes from SAGIA (Saudi Arabia General Investment Authority) and Saudi Aramco around their vision for strategic partners like Emerson, and the opportunity that Saudi Arabia represents through the next wave of investment in the hydrocarbon industry. The success of the event marks a significant milestone in Emerson’s transformative journey in the Kingdom of Saudi Arabia. “The first Emerson Technology Conference and Exhibition was a unique event aimed at assisting our stakeholders in leveraging the full business potential of digital transformation,” said Mike Train. “By using best-in-class project execution methods such as Emerson’s Project Certainty methodology, customers in the Top Quartile, i.e. the top 25 percent of all projects, we are able to complete their projects in half the cost and in half the time compared to their counterparts in the fourth quartile. Companies that adopt Emerson’s Operational Certainty methodology see operations improvements in the areas of improved safety and reliability, as well as lower production costs and reduced energy consumption. Through organizing events such as these, we intend to make our expertise accessible to a wider audience,” he added. 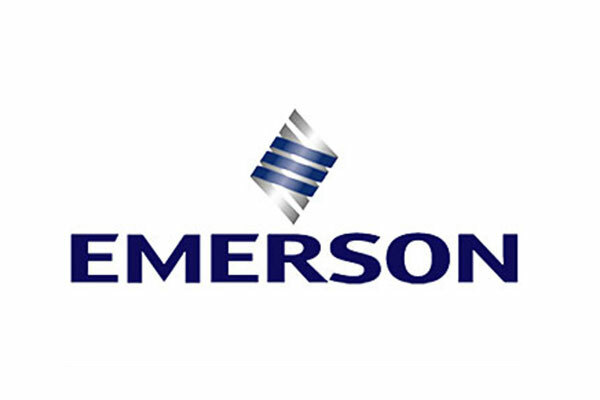 “By promoting education, knowledge transfer and diversity as the key pillars of our roadmap for KSA, Emerson remains committed to the realization of Saudi Vision 2030,” said Liam Hurley, vice president and general manager for Saudi Arabia and Bahrain. “Our continued investments in manufacturing and supply chain and our efforts to engage local small and medium enterprises (SMEs) along the development chain are set to play significant roles in the achievement of this goal. “Initiatives such as the recent Emerson Technology Conference & Exhibition builds on our focus on technology and collaboration, which complements Saudi Arabia’s National Transformation Plan and the Saudi Vision 2030 development agenda. By sharing our technology expertise with stakeholders, we aim to facilitate the adoption of technology to drive economic diversification in the Kingdom,” he added.